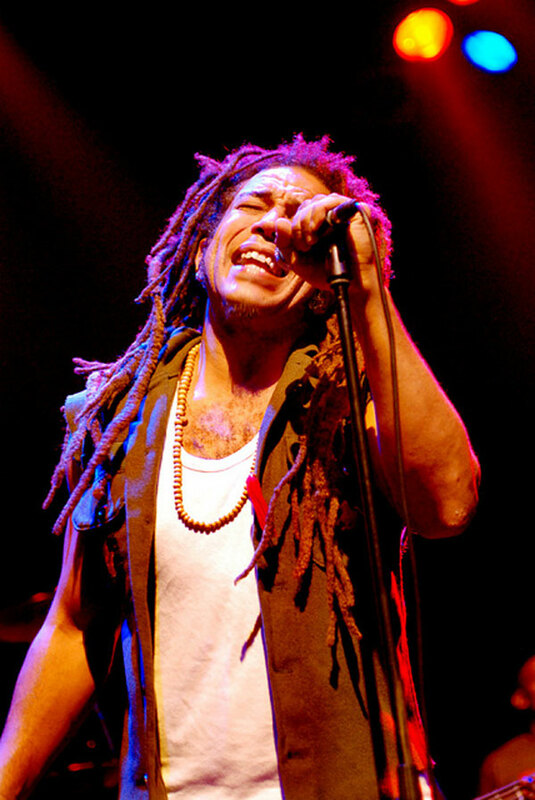 Bob Marley, originally known as, Nesta Robert Marley, was a Jamaican singer and songwriter, with awe inspiring and unparalleled talents, he was famous for his crossover Reggae albums. He later gained popularity for his political views and his advocacy for peace and freedom. 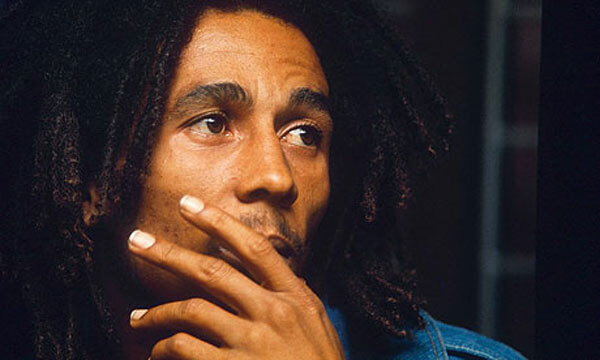 Posthumously, as well as during his lifetime Bob Marley used his songs to advocate for peace and freedom. Widely considered to be an advocate of love, peace, and freedom, he is famously known as, ‘Prophet of love and freedom’. 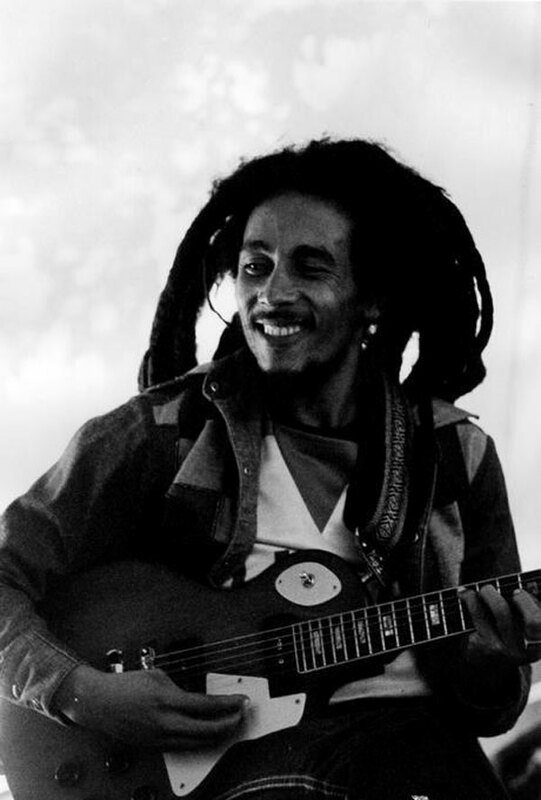 Using a guitar to weave his magic spells, Bob Marley is one of the world’s most beloved musicians. 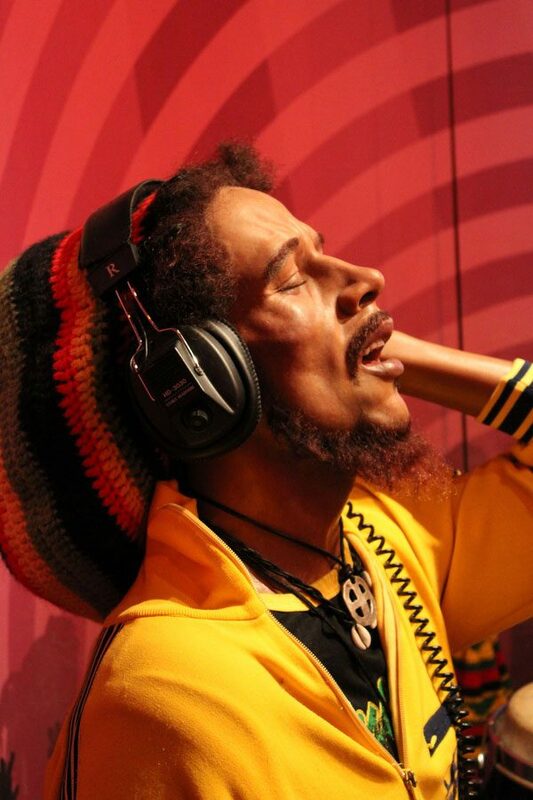 His songs have inspired generations to fight for freedom. 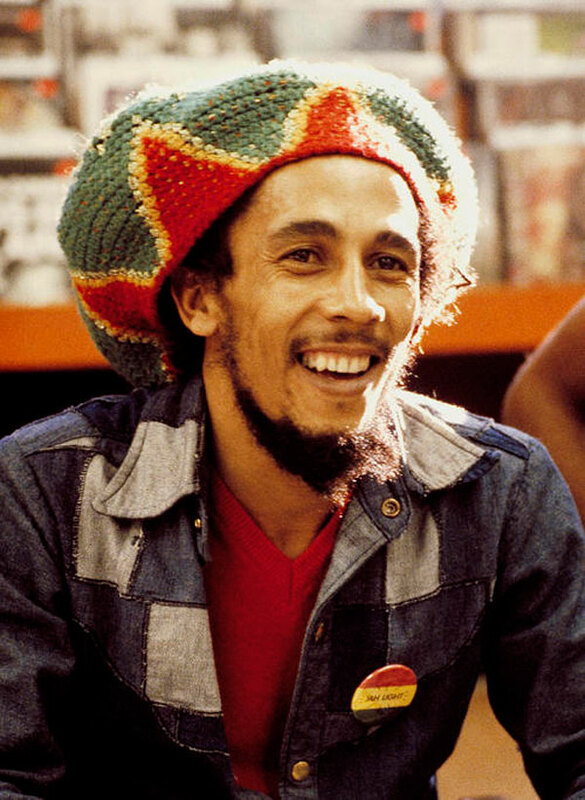 Famous for his spiritual music, his unique style, and his colorful Reggae caps, Bob was a legend in his own right. His music was reflective of his spirituality, the soulfulness of his music still resonated, decades after his demise. Let’s look at some pictures of this celebrated legend, whose music did not only bring laughter and happiness, but freedom. Whose music resonated of love and peace. 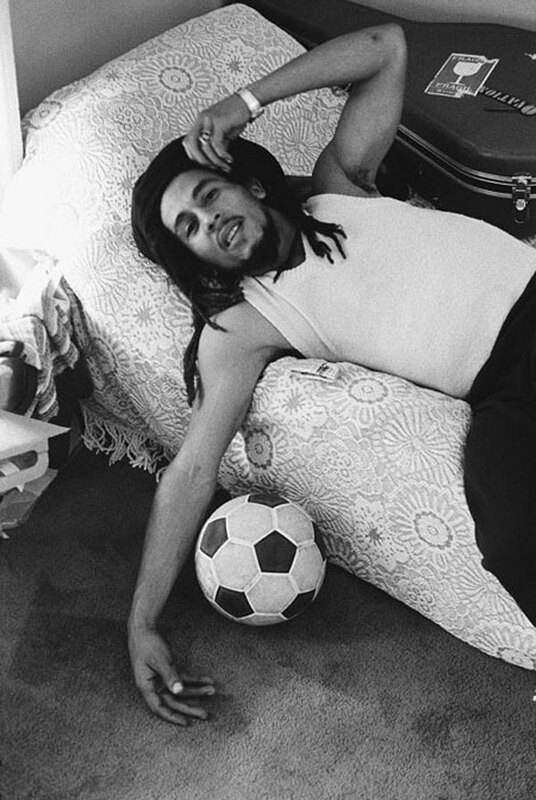 Here are 30 stunning Bob Marley pictures, capturing history in making by an amazingly talented individual. If you like this article, you might be interested in some of our other articles on Pictures of Lil Wayne, Michael Jackson Pictures, Pictures of Famous People and Kobe Bryant Pictures. 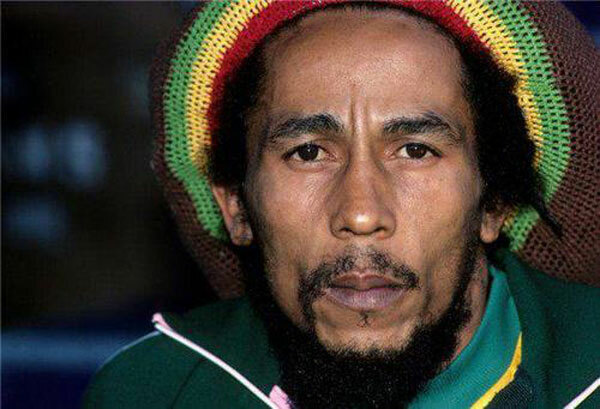 This picture features, the legendary vocalist and songwriter, Bob Marley, in all his glory. A picture featuring young Bob Marley wearing a shirt with the sleeve folded upto the elbow as he poses by a car. 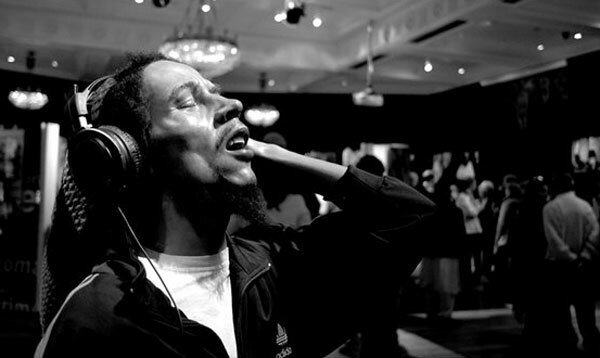 This classic picture, styled in black and white shows Bob Marley intensely concentrating, in the middle of one of his songs. 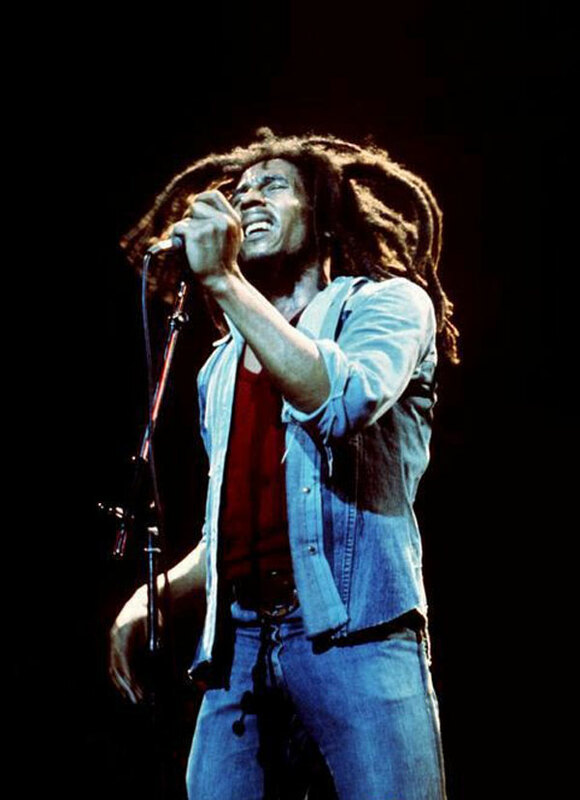 Bob Marley lives on in the heart of millions through his music. The singer’s face is full of passion as he sings into the mike. 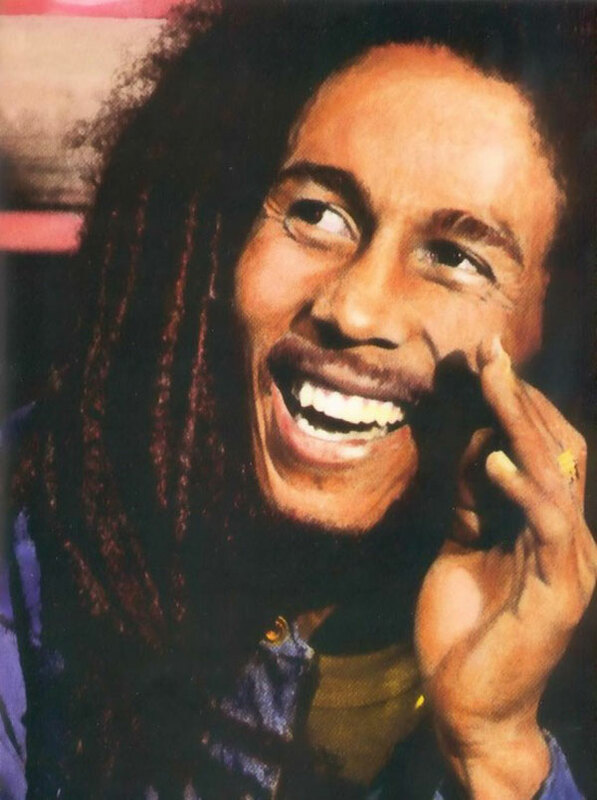 ‘Every little thing’s gonna be alright’ Bob Marley seems to be singing, as he smiles in this radiant picture. 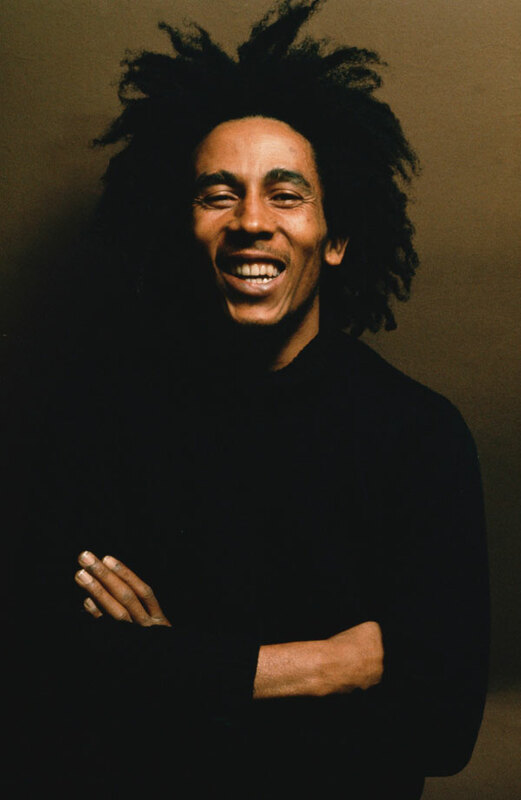 A picture featuring Bob Marley in the prime of his youth, dressed in all black with his trademark hair framing his face. 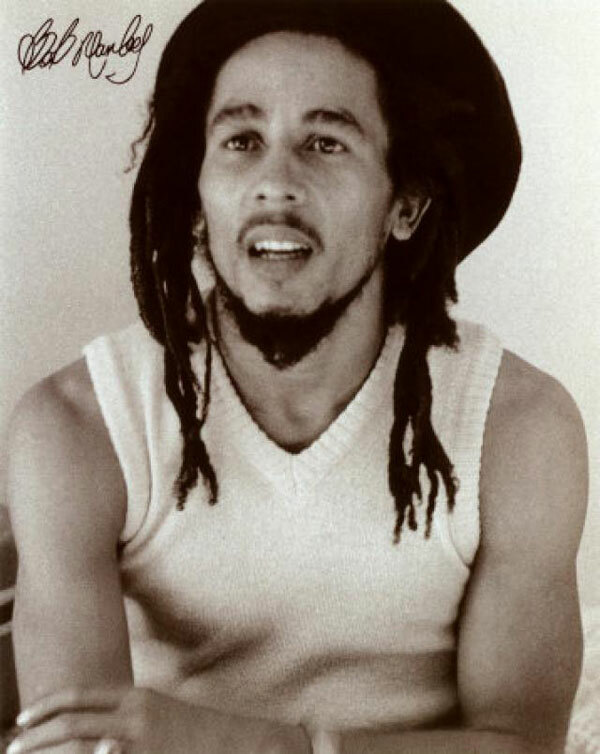 In this black and white picture, you can see Bob Marley alongside his signature written in his typical cursive style. 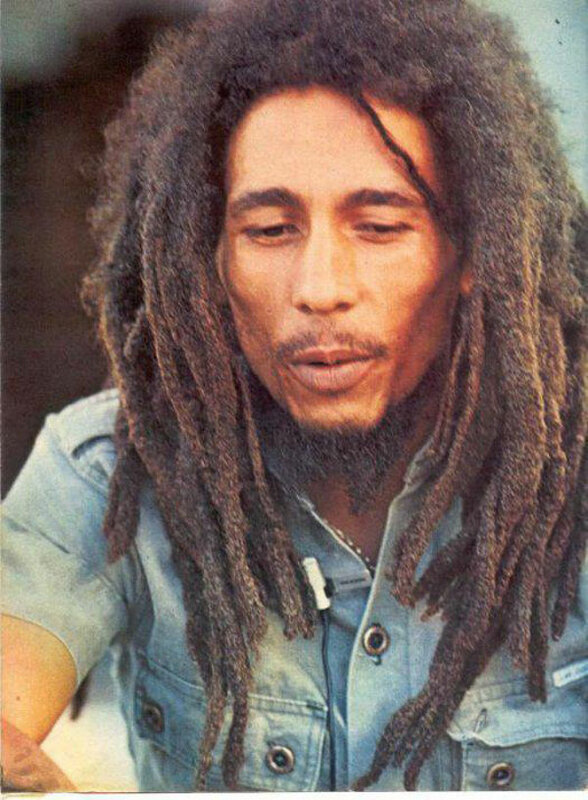 Bob Marley’s classy color closeup. A beautiful memorabilia of a music legend. Here you can get a look at Bob Marley relaxing as he smiles into the camera, eyes crinkled up at the corners, while posing in a casual manner. 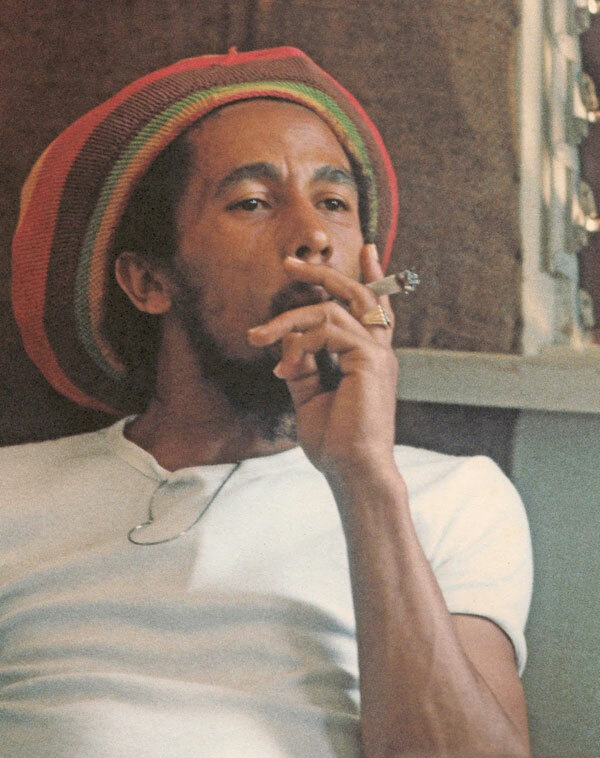 Featuring Marley in one of his famous rasta and reggae caps, this picture shows Marley smoking. 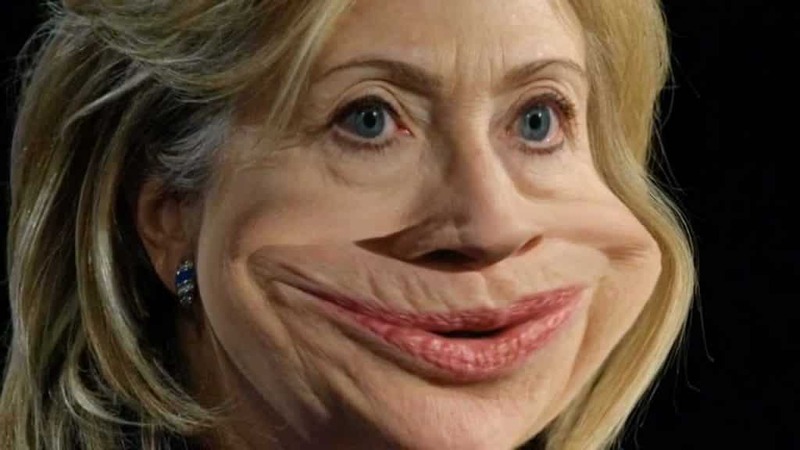 A photo that captures history in making. A legendary vocalist with his guitar. 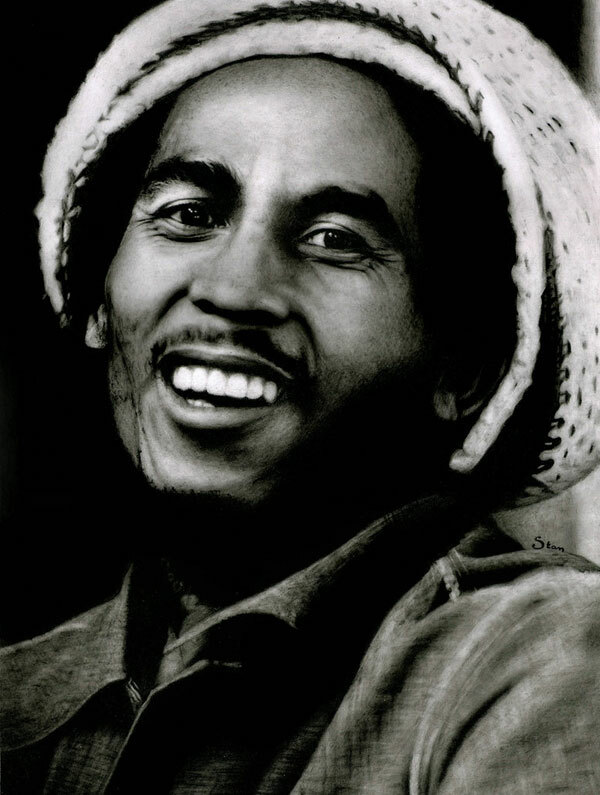 You can see Bob Marley’s beautiful expressive eyes shining and his face lights up in a bright smile, in this historic picture. This picture features the legendary, song-writer and vocalist dancing to his own rythm. 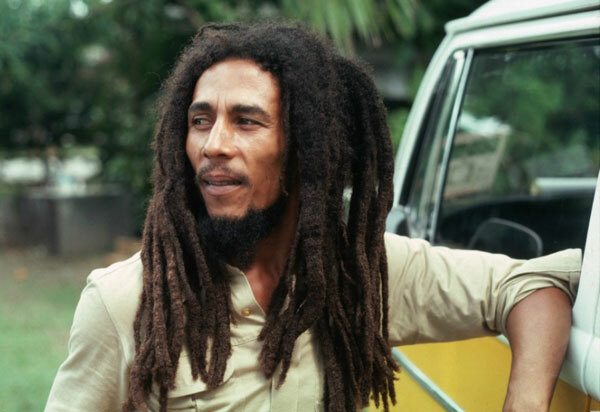 This snapshot features Bob Marley wearing his brown hair in his stylish and iconic dreadlocks in this picture. 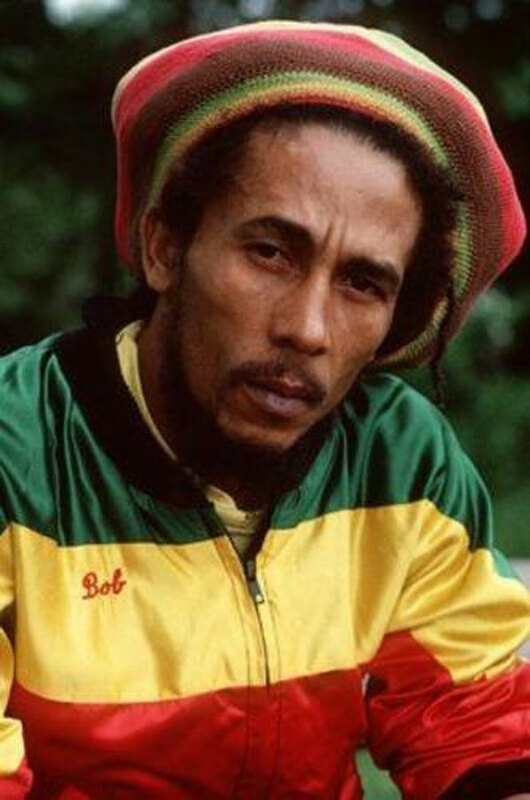 Wearing vibrant colors of red, yellow, and green, Bob Marley makes a serious pose in this picture. 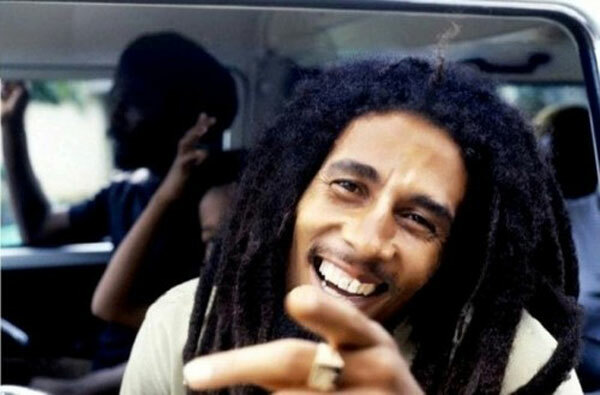 Here you can see a closeup of Bob Marley as he laughs into the camera with his finger-pointing at the camera. Wearing a red, yellow, and green woven cap Bob Marley looks straight into the camera in this classic closeup picture. The trees glow greener and the air smells of freedom, as Bob Marley sings his eternal songs of love and peace, in this beautiful picture. Take a look at the colorful triangular patterns woven into the vibrant turban worn by Bob Marley in this flamboyant picture. 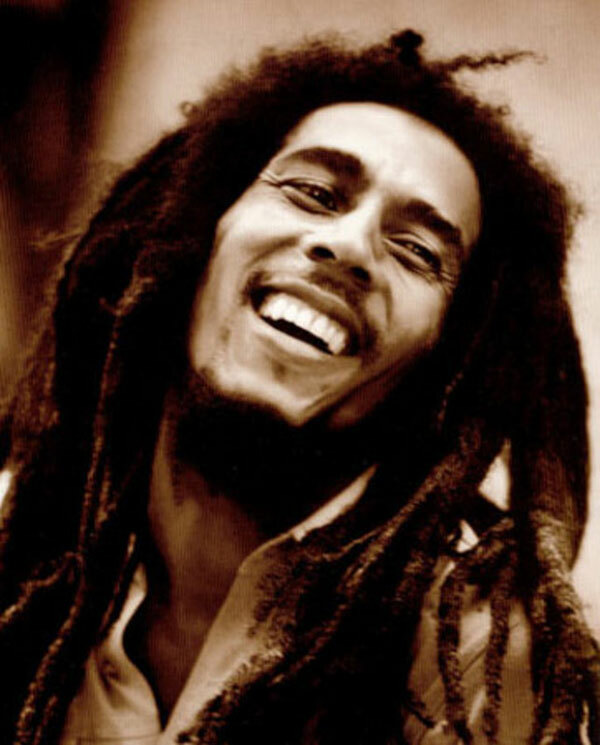 Bob Marley’s features are alive with laughter, as he looks away from the camera in this picture. 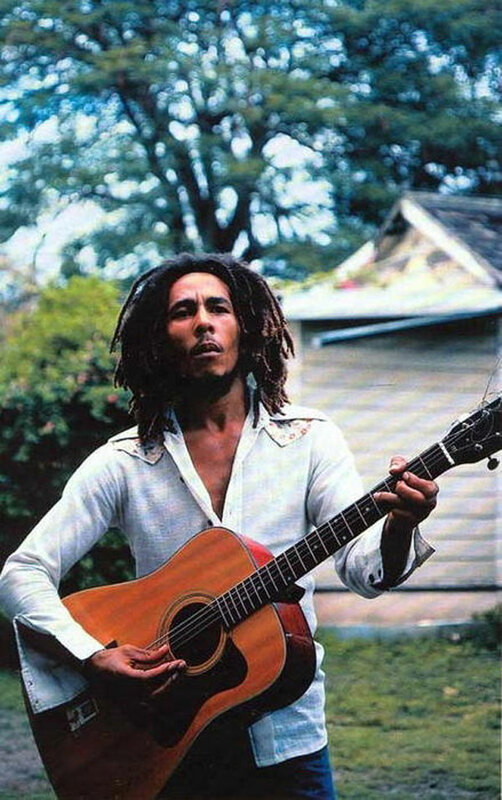 The dreadlocks and casual getup make a powerful impression, and captures a beautiful musical moment in this old Bob Marley picture. 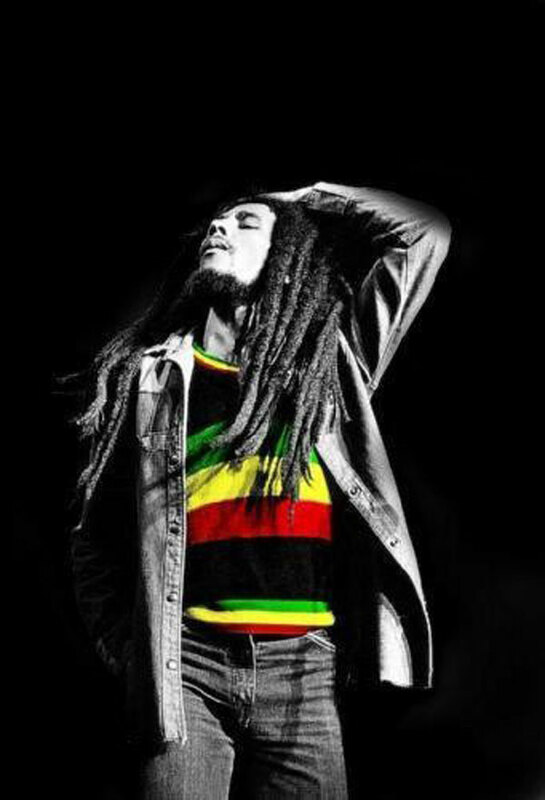 This selectively colored picture , features Bob Marley in brilliant colors and a stylish pose! 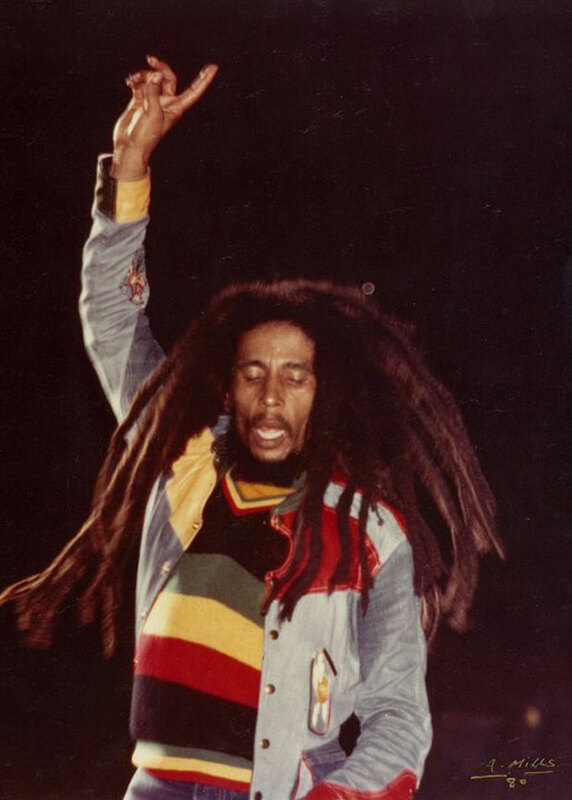 The soft blur around Bob Marley’s face in this picture, features this music legend in his natural state. 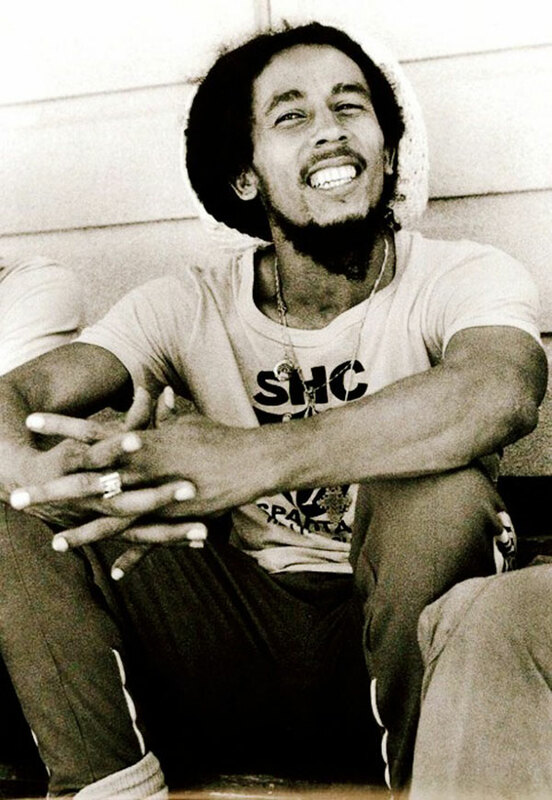 Bob Marley makes for a classic icon in this picture. Check out this picture, featuring him infaded blue denim half-sleeved shirt. Get a look at this legend, as he lies down in bed in this casually posed, black and white picture. 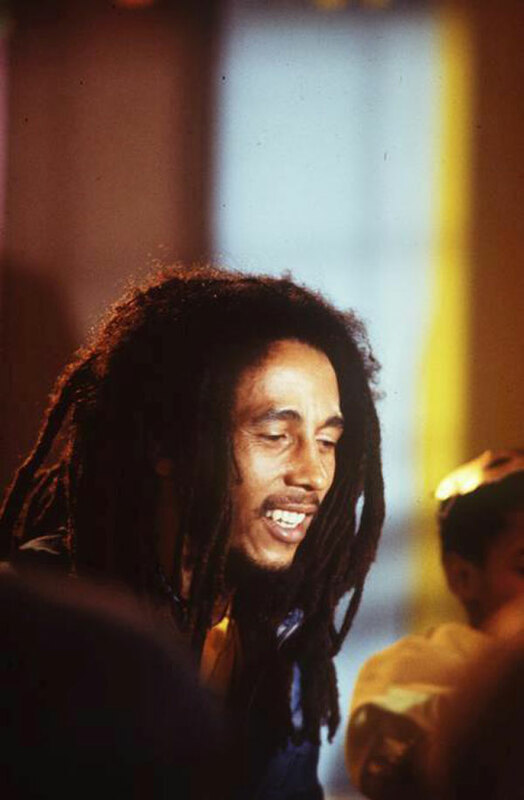 You have a great collection of Bob Marley photos Thanks for sharing. I pinned most of them! 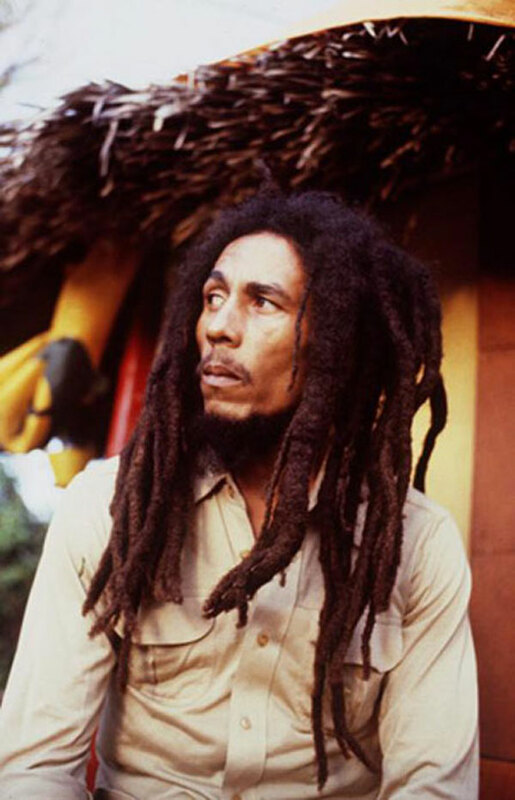 Nice collection of Bob Marley Pictures but i didn’t liked his hairstyle but i does not matter anything to him thanks for sharing…..